Carefully etched walnut wood inlaid with brushed steel. Varnished to ensure the longevity of the surface finish with sterling silver posts and butterflies. 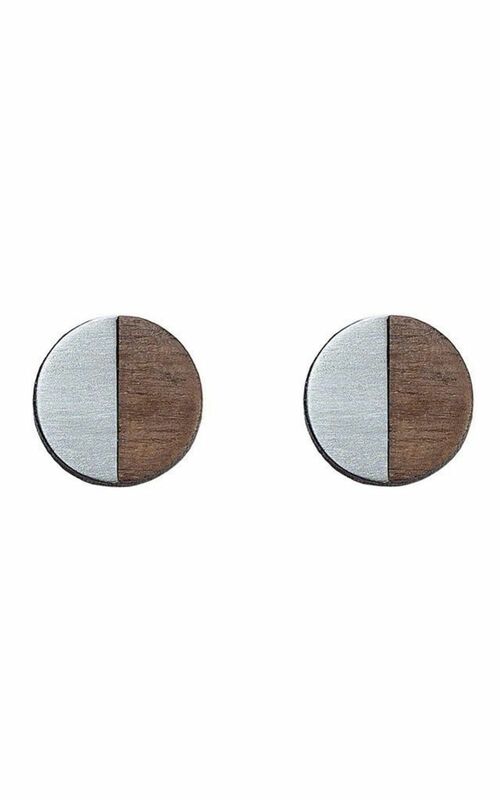 Made from FSC approved 3mm walnut, 0.5mm brushed steel, sterling silver earring posts and butterflies.